Pernod Ricard’s Plymouth Gin is sponsoring UKTV’s ‘Captivating Moments’ programming with 10-second humorous idents in key TV shows across W, Really, Alibi and Eden. The idents feature throughout programmes including Sherlock, Cops UK, The Killing Season, Escape to the Country and Murdoch Mysteries, driving awareness of Plymouth Gin among its target audience of affluent and discerning 30-45-year-old consumers. 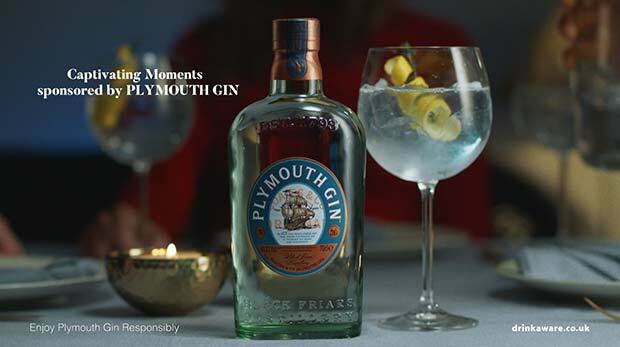 The campaign will reach 7 million consumers, promoting Plymouth Gin as the gin for the Christmas season. Plymouth Gin has enjoyed strong growth in the on and off trade over the past year.